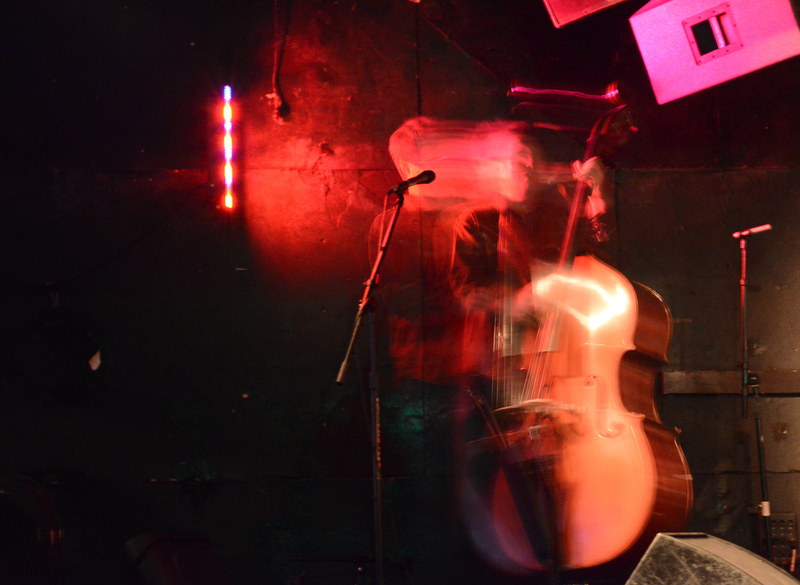 Bassist Brian Vandemark blurs across the stage during a performance with Hovering Breadcat, one of the four bands to perform at the Bluegrass & Beyond Extravaganza at Milk Bar on Haight Street in San Francisco, Ca. on Sunday, July 31, 2016. Photo by David Andrews.